The most simple games are the best games, are they not? 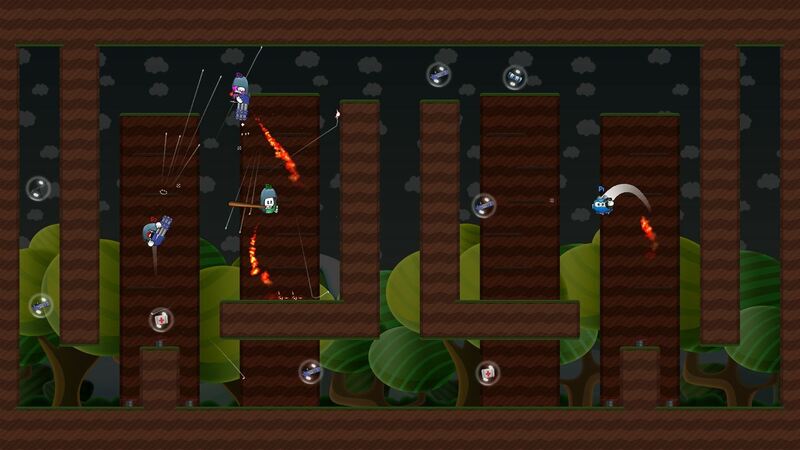 Well, you can’t get much simpler than Bounce Rescue, as other than navigating a lovely little blob from one end of a level to the other, making your way past a few enemies, actioning the odd jump and fighting back with the swing of your baseball bat, there is very little else to worry about. But sometimes the most simple of games can still get that wrong. Case in point, Bounce Rescue. 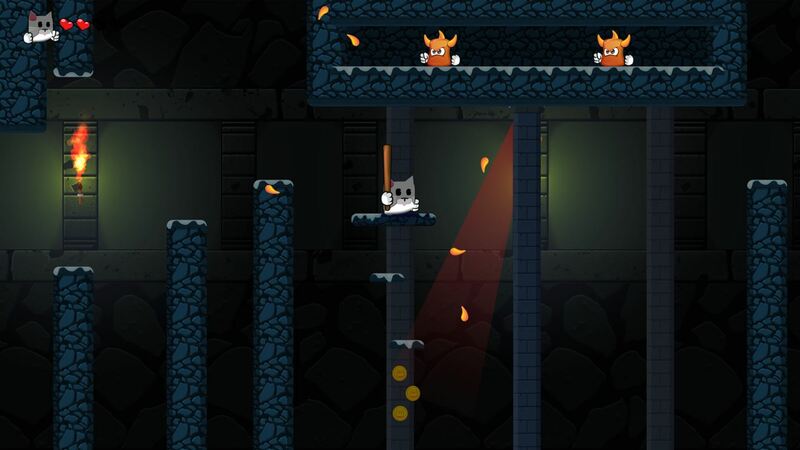 Now, I don’t want to come across as being too harsh on Bounce Rescue and the development team behind it at Bitecore Games, but I have to question a whole load of strange gameplay ideas and mechanics that have been included in this otherwise reasonable platformer. The issues start pretty much from the very minute you first load up the game, and that will no doubt put many off immediately. First, the story, for what there is. Now, if I hadn’t read the game’s blurb, telling the tale of how the Evil Devil has landed on this earth with the intention of taking over the world, and how the skilled team at Bounce Rescue HQ were going to stop him, then I’d have absolutely no way of finding out why or what was going on. For all I know there is no story behind this platformer – and whilst that is fine by me – if you’re going to have a tale to tell, then you really do need to make sure you tell it. But hey, I’m not going to batter Bitecore for not bothering to fill us in on the details of what is quite obviously a budget indie title. For as long as the gameplay found within is good fun, then that is all we ask. This is where things get a bit tricky though, because it’s not. At least not once you get past the basic opening stages which ensure you are fully down with the simple jump and attack control scheme. For the record, it’s one button for jump and another for attack. Yes, even your nan could get her head around that. You see, whilst the levels have actually been well designed, with multiple paths to glory available, hit-boxes are way off, with some hits of, or from, an enemy dishing out damage, whilst others fail to make the mark. Throw in platforming jumps that for the most part work, but then inexplicably fail for no reason – no more so when you are heading through magical warp portals – and Bounce Rescue very much becomes one of the most frustrating games I’ve played in a long old time. When it does work it’s reasonably decent fun though, and making your way past enemies either by bouncing on their heads or battering them in to submission with your baseball bat is good fun. Collecting keys for various doors, nabbing big floating crystals for no reason other than to increase your end of stage score, and picking up many magical coins, again for no real reason, very rarely lets you down. Until that is you miss a shot, fail to execute a jump properly or just become subjected to the unfair ways of Bounce Rescue. It is then when you’ll find yourself thrust back to a checkpoint, with half your health put back in place, leaving you to run over the same bits of the stage again. That means should you have managed to pick up, for instance, a bronze key, and used it to open the door to the silver key, before getting whacked in the chops by some magical flying fish that has appeared out of nowhere, then you’ll be left to hunt down all the keys and open all doors again, basically starting the stage from the very beginning once more. There are various checkpoints in place but rarely are they helpful. In fact, with each stage requiring a bit of to and froing for you to work out the best route to the exit, you’ll find that you manage to activate multiple checkpoints, multiple times, and it is here where you’ll then no doubt find yourself placed in the most awkward, unwanted situation. I wouldn’t have a problem with this if the game was exactly the same every time I was taken back to these save points, but strangely, whether enemies appear, or fail to appear, seems to then be completely random. I have no issues when a game bugs out and sees previously placed bad guys removed from play – hell, I’m never going to moan when something frustrating is made easier – but I want consistency and fairness; Bounce Rescue is about as far removed from that as possible, delivering random gaming when it quite probably isn’t meant to. … and then the timer kicks in. “Timer?” you may ask. Yes, and it seems that every level of Bounce Rescue is time limited, with an instant fail and restart put in place for anyone who dares so wish take too long to reach the magical end portal of each stage. Now that in itself wouldn’t be so bad, but other than very briefly flicking up at the start of the stage to signify that you have, for instance, five and a half minutes to complete the stage, it is not until there is one minute to go will it notify you again. And by that point, the pressure is heaped on your poor little blobby shoulders as you try even harder to work your way around the pleasures of each stage. When things are already a bit of a struggle initially, the last thing you want to worry about is a damn timer ending your progress. When you make a game and mention that there are 50 ‘challenging’ levels included, 5 boss fights to partake in, multiple different worlds to enjoy and enough characters to keep any budget gaming fan happy, then things are all well and good. However, it is that initial point, that of ‘challenging’, which can be taken in a variety of ways. For me, it’s about the experience needing time as we hone our skills enough to then be able to make our way through the gameplay thrust towards us, all whilst having a thoroughly enjoyable time. 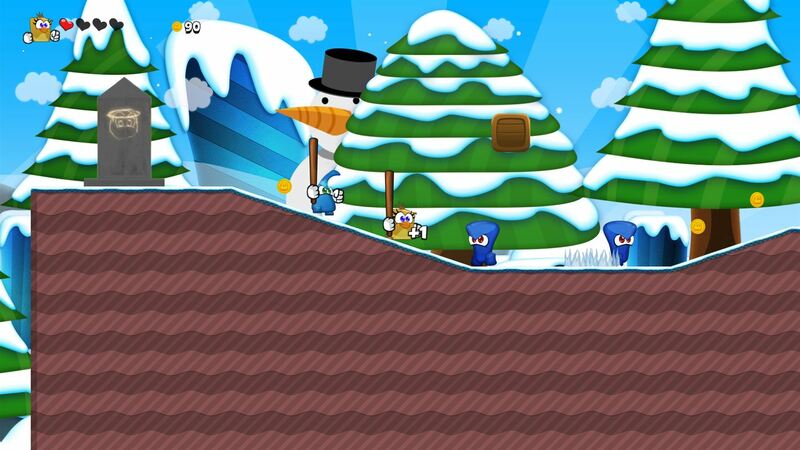 Bitecore Games have instead decided – whether by intention or not – that the challenge in Bounce Rescue should be found in the randomly unfair gameplay that is in place. Personally, I don’t care too much for unfair games and I’d hazard a guess in saying I’m not alone in that way of thinking. 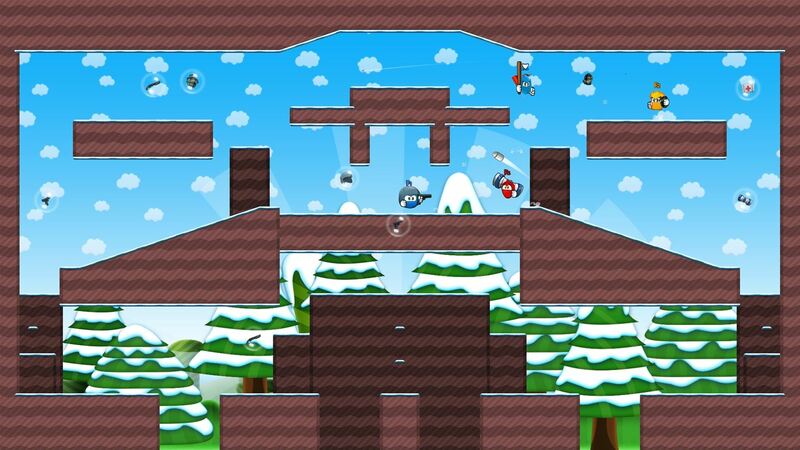 Bounce Rescue isn’t just all about the solo adventure though, and tacked on is also a local multiplayer offering that brings the chance to take in a cooperative adventure for two, or go head to head in a Versus mode across multiple maps with up to 4 players in Deathmatch, Capture the Flag and Survival arenas. 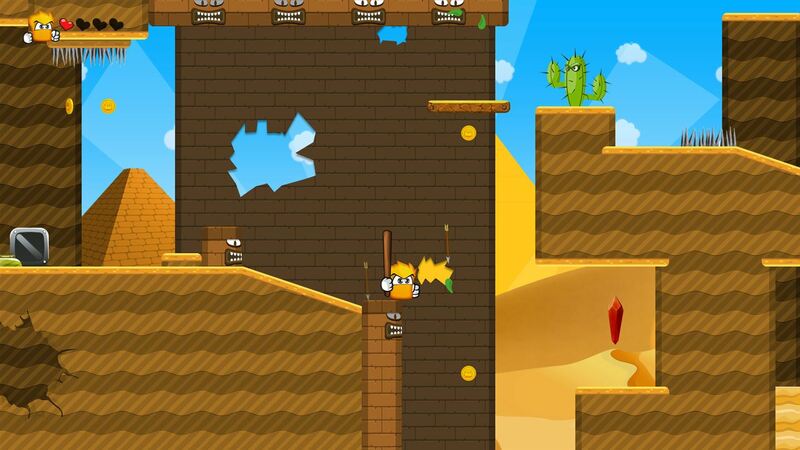 It’s good to see that Bitecore haven’t placed all their eggs in the one single player Bounce Rescue basket, but does the multiplayer side of things save this game from even making mediocrity? No, not really, and the co-op mode is even more frustrating than the solo experience, with the camera never sure which of the two little fellas to follow. I’ve got to mention that the versus mode is reasonable fun though – especially when a whole multitude of snazzy weapons are dropped in to play – but you really won’t bother playing it for more than a few minutes at a time. Unless you’ve got a party going, and then it is strangely a good thing. There are plenty of problems found in Bounce Rescue, and these outweigh the positives tenfold, but the biggest by far is that the game lacks the fun element we all need from an indie title. Feelings of frustration and unfairness instead preside over nearly everything that this game delivers. And that’s not good in anyone’s book.